Oh my goodness, this family was adorable. 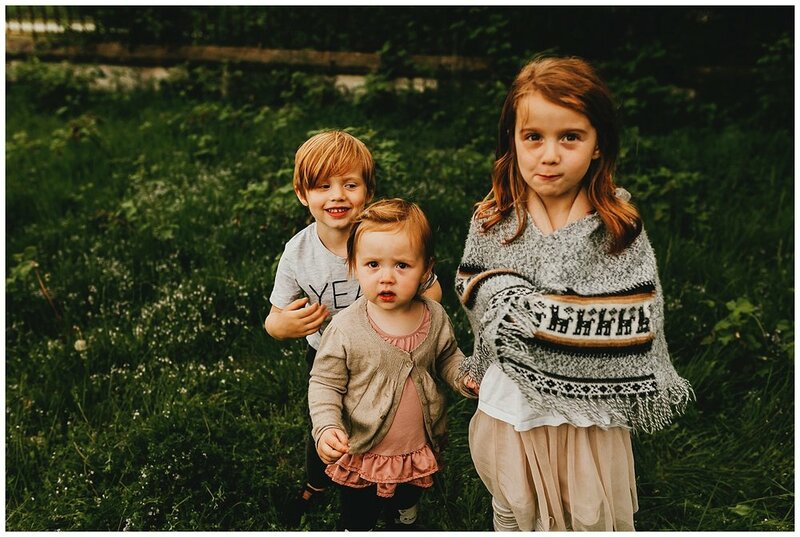 And the beautiful kiddos with amazing hair, wow! 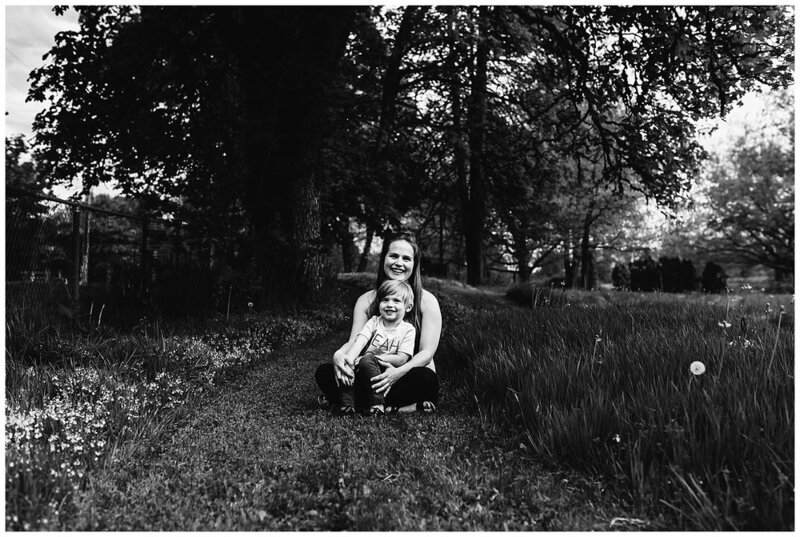 Practice is always great, and when the Moms with a Camera club I'm a part of was hosting a family session I was so excited. Our sunshine for the night got clouded over, but with such a great location and the diffused light it worked out perfectly. I've never actually explored the Colony Farms park before, even though I used to live only a few minutes away, what a great spot! We all met the young family at the park, and strategized our plan for the evening to create a flow for what we wanted to practice and learn. 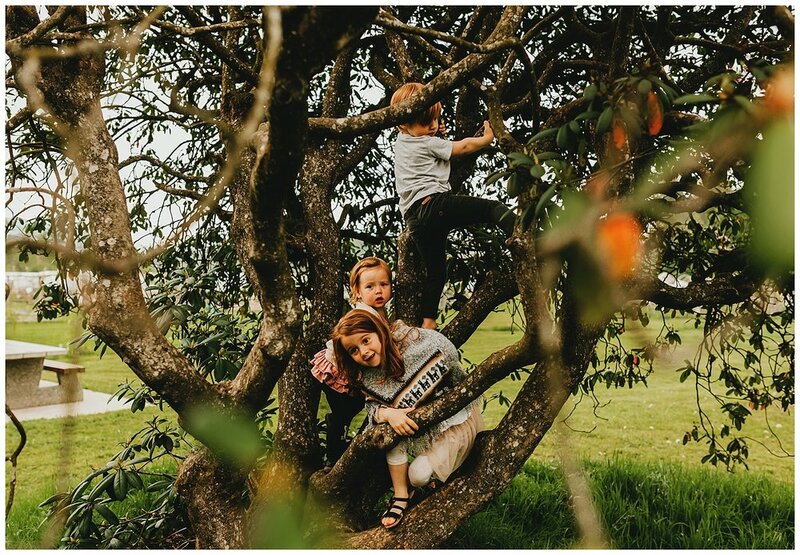 We found a few spots around the area to use and then decided on what poses we wanted to work with, then followed our model family and practiced shooting a few poses and also catching the in between moments as well. 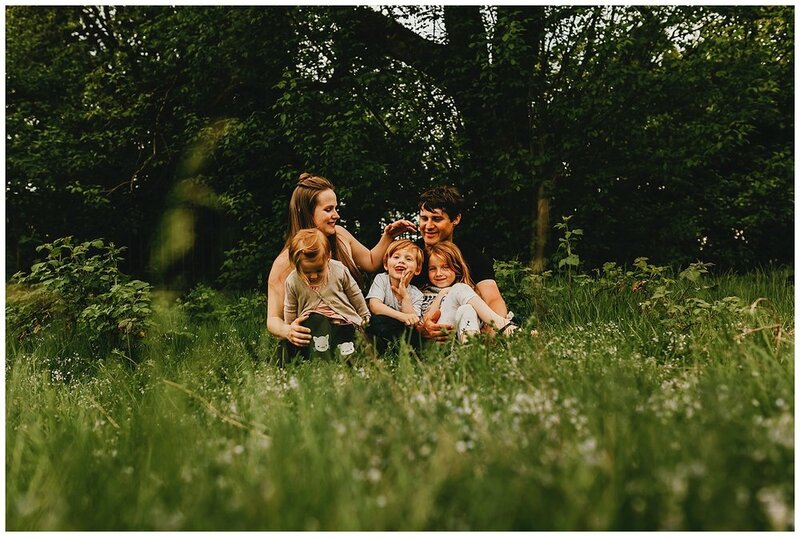 The family was so great, it must have been daunting at first having so many cameras pointed their way, but they all did so well. And like seriously, how gorgeous are they all? And so super sweet all around, and that hair, did I mention that yet? So beautiful!! 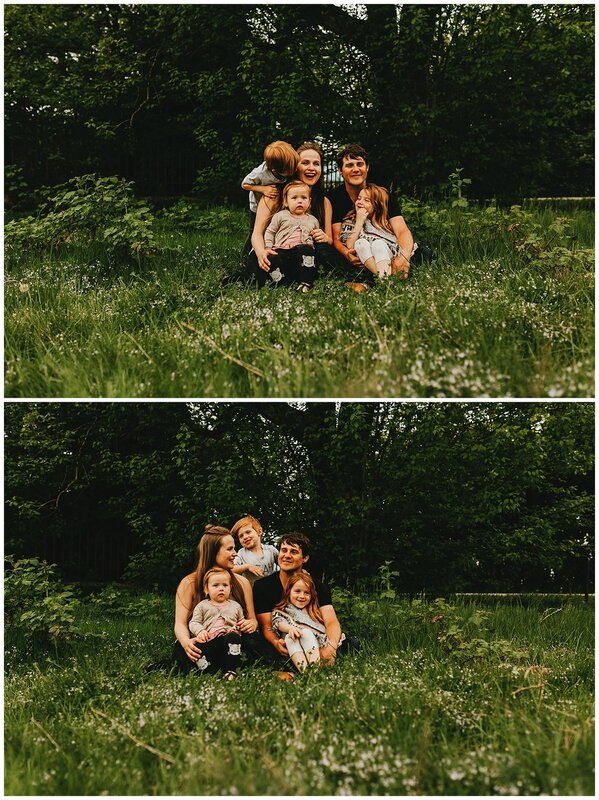 I can't wait any longer, I have to show you this adorable little family!